For the second year running, the duo of Musa Kabega and Rogers Sirwomu won the Huye Rally. The crew that went into this year’s race as favourites did not disappoint as the came home in a time of 5:56:00, just a minute ahead of fellow Ugandas Jonas Kansime and Aaron Nsamba. It was a dominant performance by the KG Rally crew and they never looked like they would lose their crown. They led from start (Saturday) to finish and will be eyeing for a third consecutive Huye crown next year. “The event was good and exciting as well, said Siromu after the race. “We didn’t have so many challenges besides minor issues with our intercooler that made us lose a bit of time But luckily, it did not affect as at the end. “The service team had it fixed and we managed to maintain our lead till the final stage. Jonas Kansiime kept himself in the contention for the top spot with a clean drive throughout the race, maintaining his second position to the end. 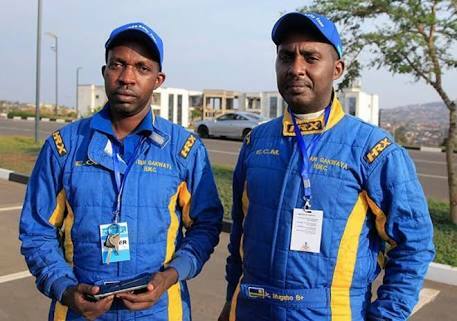 Rwanda’s Giesen Jean Jean settled for third position becoming the best placed local driver. Burundi’s Imitiaz Din finished in fourth position followed by Remeze Christian and Uganda’s Sadat Negomba in fifth and sixth respectively. Uganda’s representatives finished 6th, 7th and 10th. Negomba Sadat and Zubeda Abdallah scooped 6th spot as their Toyota Runx came home in a time of 7:17:00, just over 22 minutes behind Remezo Christian of Burundi. 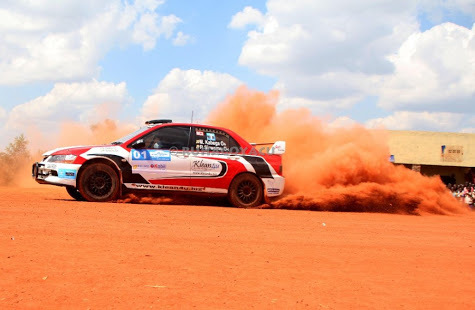 Nagasha Graham and Reymond Munigwa, driving a Subaru Impreza finished in seventh while the duo of Balondemu Gilberto and Waiswa Ibrahim could only manage 10th spot. Only ten crews finished of the eleven that started the event on Saturday. The motorsport competition in South Province is organized in memory of late Claude Gakwaya, one of the best rally drivers the country has ever produced. He passed away in a motor accident in 1986. 1. KABEGA MUSA / ROGERS SIRWOMU (Uganda) – MITSUBISHI EVO9, 05h56’00.